Στη SEMA η Ford θα παρουσιάσει πέντε βελτιωμένα Transit. Πρόκειται για τα Galpin Auto Sports Transit Skyliner, Off-Road Experience Transit, Formula DRIFT Transit, Business Class Transit και Designed Travel Transit. Και τα πέντε διαθέτουν νέα bodykit, νέες ζάντες και ότι άλλο περιμένει κανείς από αυτοκίνητα που πάνε στη SEMA, όπως δυνατά ηχοσυστήματα, μεγάλες τηλεοράσεις, χαμηλότερες αναρτήσεις, σπορ εξατμίσεις, ξύλινα πατώματα και άλλα πολλά που μπορείς να τα βρεις στο δελτίο τύπου που ακολουθεί. 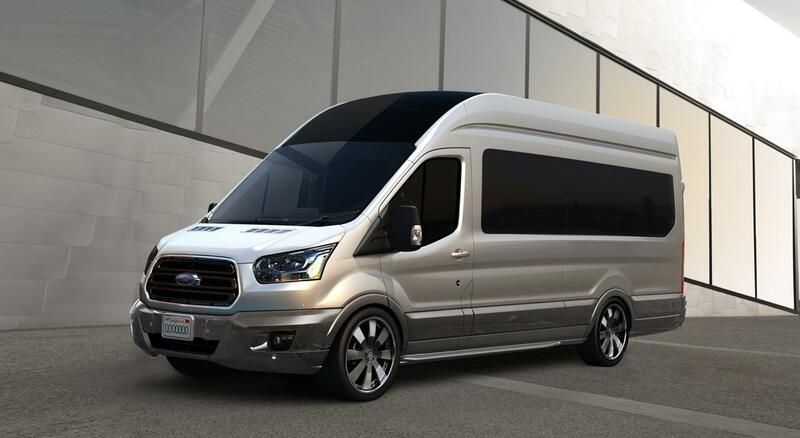 The first-ever all-new 2015 Ford Transit custom vans will debut at this year’s SEMA show in Las Vegas. Five Transit project vehicles were crafted to showcase the van’s toughness and flexibility for customers looking for a vehicle that can fit a variety of needs – from high-tech luxury limo to sport exhibitions to off-road adventure. Vegas Off-Road Experience Transit Vegas Off-Road Experience in South Boulder City, Nevada, provides the ultimate adventure for those who have always wanted to drive an off-road desert race truck. 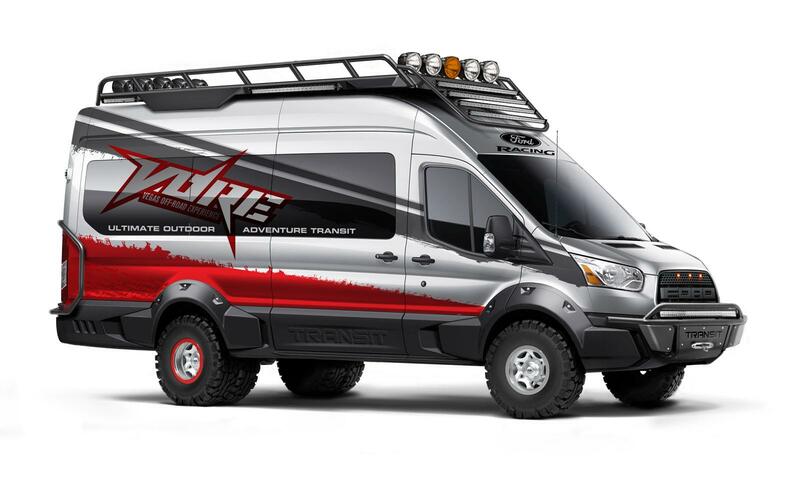 The VORE group applied its expertise in preparing off-road trucks to the new Transit, creating a vehicle that provides luxury transportation with an off-road theme. This Transit, equipped with off-road wheels and tires, will be used for guest transportation at VORE events. Designed Travel Transit For long-distance road trips, Forest Lake, Minnesota-based Waldoch Crafts and 3dCarbon and Air Design of Newport Beach, California, customized a long-wheelbase, medium-roof Transit with a solid hickory wood floor and four reclining captain’s chairs with heating, cooling and massage functions, along with power headrests. 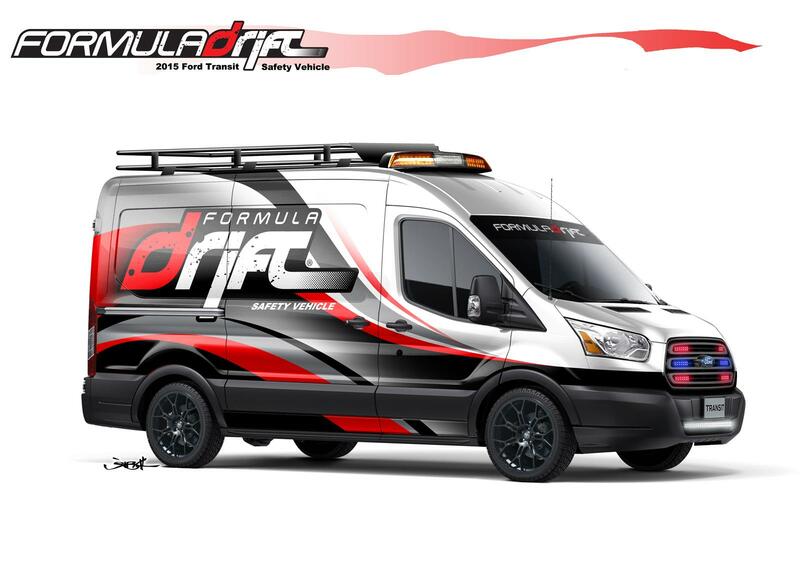 Formula DRIFT Transit This Formula DRIFT Transit is more than a concept – it is a functional vehicle that will be used at series events in 2015. The Formula DRIFT series, based in Long Beach, California, has taken a medium-roof, short-wheelbase Transit and transformed it into the ultimate track safety and support vehicle. With high-horsepower vehicles sliding around at more than 100 mph in Formula DRIFT events, accidents do occur, and this custom Transit will be one of the first responders to help with fire and safety equipment at the accident site. 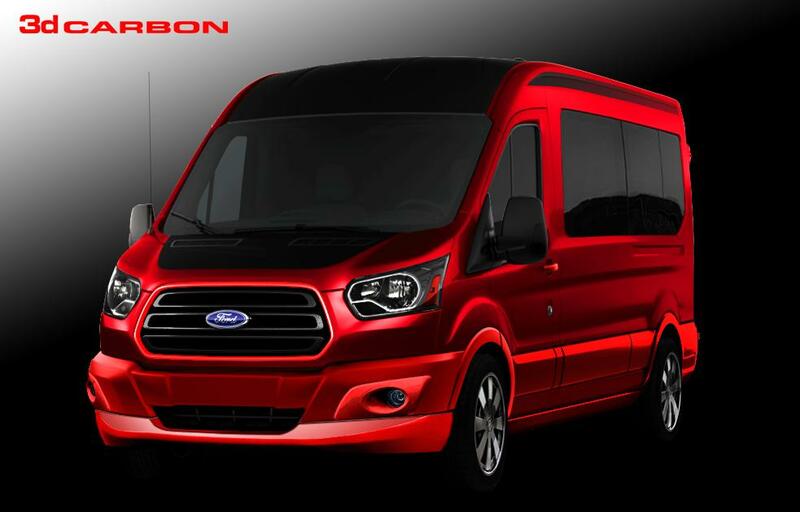 Complete with a custom interior workspace with TV, LED lighting, a custom entertainment system from Clarion and a matching Kawasaki Mule support vehicle, this Transit will be a standout at the track. 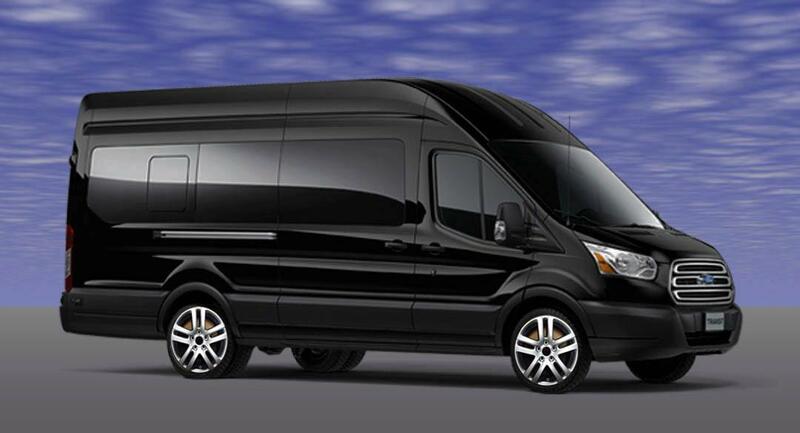 Business Class Transit This sleek, all-black Transit was created by Detroit Custom Coach of Oak Park, Michigan, and offers amenities for VIP travel, whether for business or a night out on the town. This long-wheelbase, high-roof Transit features seating for as many as eight people and a wide array of premium amenities, including cocktail stations. Galpin Auto Sports Transit Skyliner Transit Skyliner, created jointly by Ford and Galpin Auto Sports of Van Nuys, California, embodies the spirit of premium motor coaches and builds on the heritage of custom vans. The custom vehicle shows how Ford Transit can be transformed to fit the needs of limousines and high-end transportation services, as well as commercial fleets, shuttle providers and small-business owners. Transit Skyliner features custom-designed “throne” seats that are controlled by a smartphone or tablet.